In a perfect world, home improvements would all be tax deductible. While the world remains far from perfect, the recently enacted federal Tax Cuts and Jobs Acts may provide relief for homeowners in need of seamless gutters. Signed into law by the President in December, many home improvements made in 2018 will help lower the tax burden of everyday working Americans. But the IRS seems to never make things simple, so it’s important for homeowners to understand the general idea about whether your improvements is tax deductible or not. Are Seamless Gutters Tax Deductible? Every situation can be slightly different. So, it’s important to discuss tax deductions with your tax specialist for definitive answers. That being said, the IRS operates under some general principles with regards to tax deductible home improvements. The IRS makes an important distinction between “repairs” and “improvements.” Repairs are generally not tax deductible. Things like fixing pickets in a fence, new black top on the driveway or replacing wallpaper may be considered repairs. Upgrades such as a new bathroom or furnace are usually considered improvements. That thinking opens the door for homeowners to take a tax deduction on seamless gutters. If you have old, assembled gutters, upgrading to seamless gutters should constitute an improvement, not just a repair. Even if you have an older version of seamless gutters and want additional protection from water infiltration, new models of seamless products should again be considered an improvement. 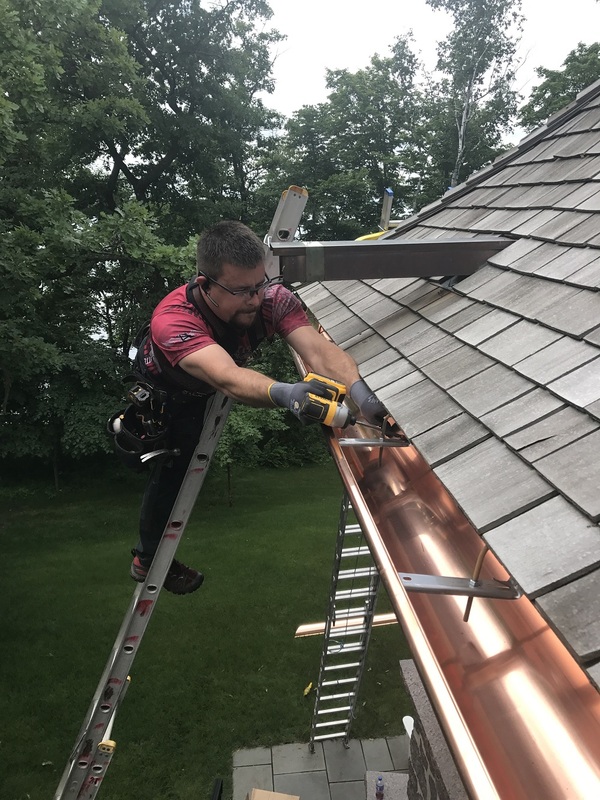 If you choose to fix those leaky, outdated gutters, then it’s like a double “repair” whammy of paying out of pocket for a less effective product and shouldering all the costs. If you are considering making improvements to your home, Advantage Seamless Gutters can help. We are located in Baxter (218-212-1818), Crosslake (218-692-2663) and Alexandria (320-421-8726). Call us to schedule a free estimate.